There’s little chance that you could come across a geopolitical analyst these days who would disagree that a “behind-the-scenes power” is driving the worsening geopolitical situation, with Qatar becoming a primary target for all of its former allies. We’ve also seen a new terrorist attack in London, Therese May losing popular support and then the elections and a number of other significant political events. 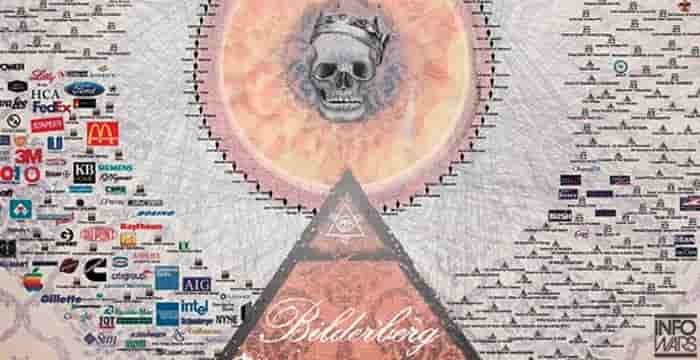 The Bilderberg Group was created in 1954 by the CIA and MI6 in order to support the Atlantic Alliance. It was intended to gather personalities from the economic and media sectors with political and military leaders in order to sensitize civil society to the « Red peril ». Far from being a place for decision-making, this very exclusive club has historically been a forum where the elders had to juggle with their fidelity to London and Washington, and the younger members were expected to show that they could be trusted with the opposition to the Soviets. However, over time the role that the Bilderberg Group played in international affairs became larger, just like the positions of the G7 and G20 have improved considerably over recent years. When discussing the influence and wealth of this group, you may get the impression that many analysts are convinced that the group has its agents within the majority of governments around the world. 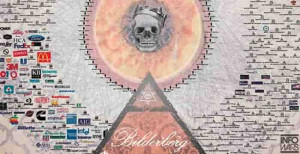 According to some sources, the Bilderberg Group is plainly described as a defacto world government, since at its annual meetings discussions of supranational problems and proposed solutions are discussed at length, while a general direction that the world must follow is usually outlined. There is also a popular belief that this meeting features the wealthiest clans and their political agents, gathered at the annual discussion regarding the status quo and the next redistribution of world wealth, coordination of future activities and the development of the world’s leading countries and their possible steps. Therefore, it’s hardly surprising that the agenda of the 65th meeting of the Bilderberg Group was described as: “The Trump Administration: a Progress Report”. Therefore, there’s little room left for doubt about the nature of the Trump administration and its complete subordination to those rich and powerful interests that Trump would describe as a “swamp” during his election campaign. The group must be somewhat worried since it wanted to discuss the performance of the sitting administration after only four months in office, so the Trump team was eager to redeem itself by sending some of its prominent representatives to impress members of the gathering. Among the featured speakers was General Herbert Raymond McMaster, the sitting US National Security Advisor; Nadia Schadlow, a deputy assistant to the president and the NSC staffer in charge of writing the Trump administration’s official national security strategy; John O. Brennan, the former Director of the Central Intelligence Agency and now the Senior Advisor of Kissinger Associates Inc; David Petraeus, yet another former Director of the Central Intelligence Agency and a devoted friend to the Saudi royal family, the Chairman of the KKR Global Institute; Wilbur Ross, US Secretary of Commerce; Chris Liddell, the Assistant to the President Trump, and the Director of Strategic Initiatives in the White House. 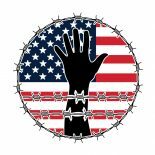 The biggest intrigue during the recent meeting of the Bilderberg Group was the discussion of the split that occurred between the US and Britain, breaking the influential Anglo-Saxon club in two. London has been displeased recently by Washington’s practice of taking use of terrorism in the Middle East. Therefore, the first day of work of the Bilderberg Club was devoted to the debate between supporters and opponents of Islamism. The CIA and MI6, therefore, tried to find a compromise in order to preserve NATO’s main goal – the fight against Russia. Yet another pivotal topic of discussion at the recent meeting was the debate about the future of Wahhabism in the Middle East. The members of the group are convinced that this religious deviation must become dominant in the Middle East. As a result, while Washington has renewed its alliance with Saudi Arabia, and has convinced it to break with the Muslim Brotherhood in exchange for 110 billion dollars worth of armament, London is pushing for an agreement between Iran, Qatar, Turkey and the Muslim Brotherhood. However, in order that the conceived “post-Muslim” world starts to take shape, it is necessary to fulfill several necessary and sufficient conditions. One of them is to transform Saudi Arabia, which is one of the main sponsors of international terrorism, into an ideological fighter that opposes it. To achieve this goal, the West is forced to create an image of an enemy, and Qatar seems to fit this role perfectly. Moreover, the West doesn’t need Qatar as a part of its project to construct a gas pipeline across Saudi Arabia, Egypt and Syria with access to the Mediterranean Sea to create a counterweight to Russian gas expansion, since the course of events in Syria provides no preconditions for this. But the most ardent enemy of Wahhabism is Iran. It does not need to build a ghostly caliphate since the people of Iran have their own ayatollah, their own land and they have undergone the process of Islamic revolution already. Therefore, Iran was to witness a series of terrorist attacks in the very center of its capital after the meeting of the group. All this fits into the Middle Eastern puzzle envisioned by the Bilderberg Group. However, once Britain starts playing its own games with the Muslim Brotherhood, we can expect even more chaos across the Middle Eastern region, where the existing confessional struggle is going to get complicated even further by the “growing political Islam forces”, composed of Tehran, Doha, Ankara, Idlib, Beirut and the Gaza Strip. This entry was posted on June 13, 2017 by conspiracyanalyst in Bilderberg, Global Elites, Global Government, International News, Middle East, War & Peace and tagged Middle East, The Bilderberg Group.